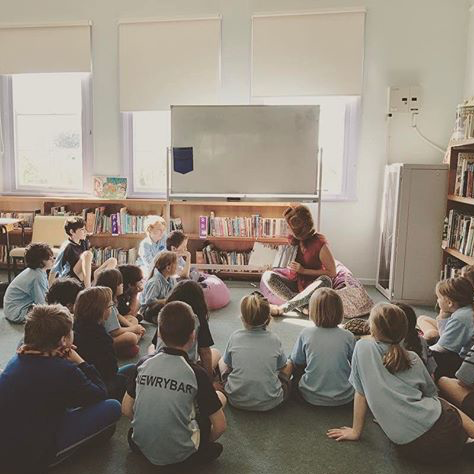 In the last few months, I have visited local schools around the Northern Rivers – Burringbar, Crabbes Creek, Newrybar, Rous Public… and run several writing workshops for teens. I have chatted with students about writing – my own process as well as tools that help writers generally. And I help kids write their own stories. Next to writing itself, I think this is about the best thing I have ever done. Kids are so fun to work with, period. But when you are just visiting a school for a morning, and you get to spend that whole time engaged in creative activities… well, it doesn’t get much better. I am running these workshops with StoryBoard, a project organised by the Byron Writers Festival. The festival received a grant from Australian government through the Department of Communication and the Arts’ Catalyst—Australian Arts and Culture Fund on the back of pilot work done by Jesse Blackadder, Tristan Bancks, Samantha Turnbull and Coralie from the Writers Festival. The idea was to set up a program that could inspire local creative kids, a bit like The Story Factory in Sydney, or 826 Valencia in San Francisco. Unlike a metropolitan centre, though, kids are far flung across the north coast, and some schools are very small, and very remote. 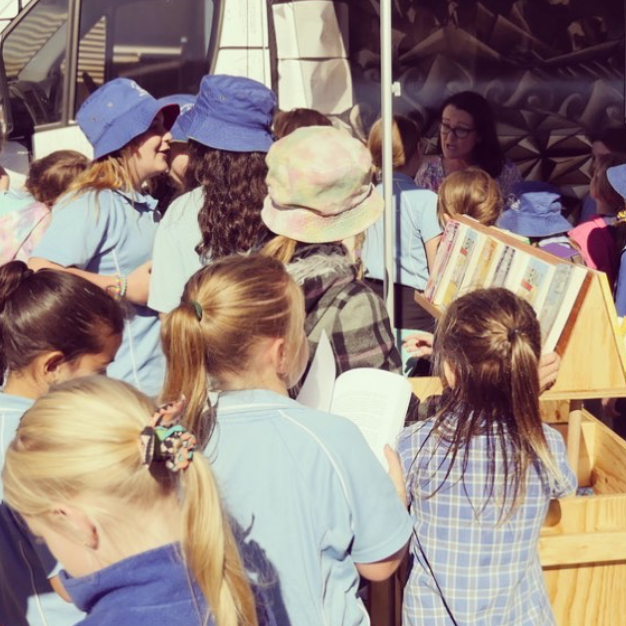 The program organisers thought that a bus would be a great way to bring authors into schools. You can read more about the origins of the project on Jesse Blackadder’s page. I am one of several authors touring the district for the next couple of years. Schools don’t need to pay for the StoryBoard visit, as costs are covered by generous funding. For both primary and high school students, this is an invaluable opportunity to meet a published author, talk seriously (and hilariously) about writing, and create your own stories. 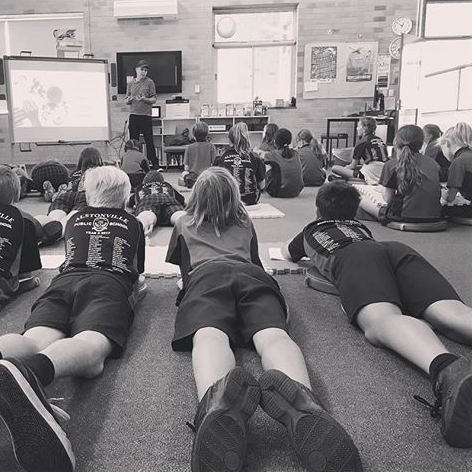 StoryBoard also run Masterclasses for teens at the Ballina and Lismore public libraries, and the Future Dreamers Girls Club in Byron Bay. These are smaller workshops, designed to inspire the very committed and talented young writers around the area, and give kids practical tools they can use to develop their stories, as well as one-to-one feedback. During my StoryBoard workshops, I watch kids come alive, as we brainstorm weird and wonderful stories together, and talk about all the tools that help us write. Kids pore over their work books, and resist going on break, they are so sucked into their stories. 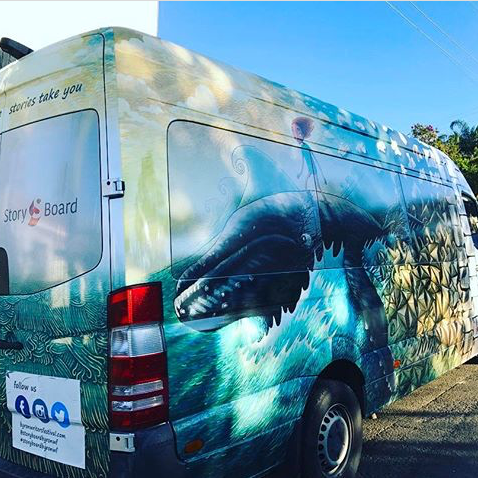 If you would like the StoryBoard bus to visit your school, contact the Byron Writers Festival. We’ve had great feedback from schools, and I am sure your kids would find this very worthwhile! You can find out about Masterclasses through the festival website.